2016 saw a LOT of crazy things.. From Apple's Iphone losing the smartphone crown, to Samsung taking the "Rethink what a phone can do" moto a little to literally in its Note 7. 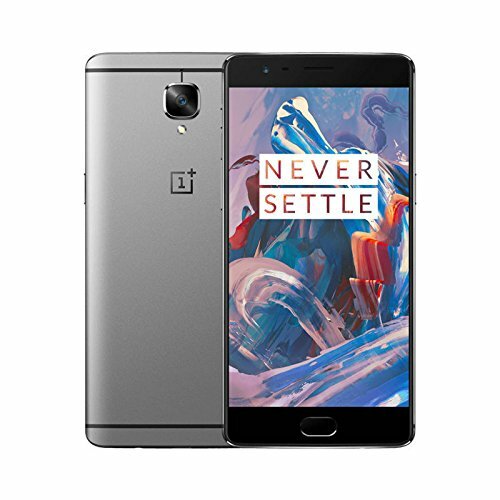 Along with that the Chinese firm OnePlus released the OnePlus 3, the flagship killer, a phone which at quite a low price gives most flagships, about double the price, a run for its money. 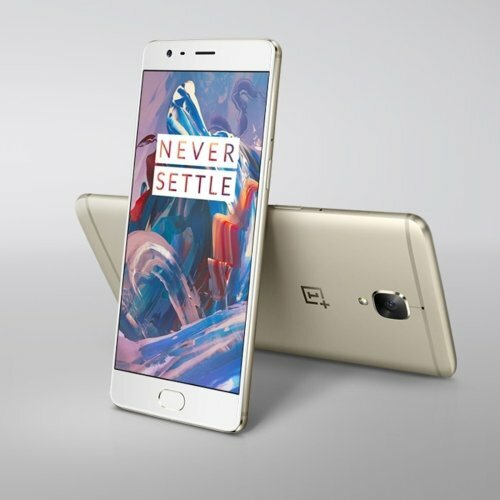 Packed with superb specs OnePlus 3 is heads above several flagships released, But can it challenge Samsung's flagship- The Galaxy S7? Or can it even displace the S7 as the better choice among the two? A sleek handset, made completely of glass, highly resistant to damage due to being made of Gorilla Glass 5, the Samsung Galaxy S7 boasts a glamorous look, and is one of the best looking phones out yet, overshadowed by the Galaxy S8, however. 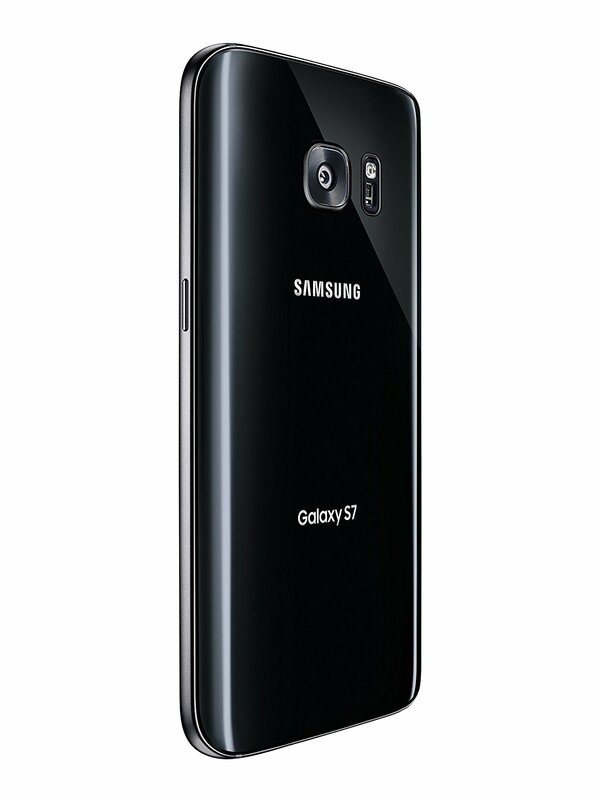 The S7's design is much similar to last year's S6 but now has a brushed metal side which feels as good as it looks. It consists the similar home button which also functions as the fingerprint scanner with capacitive buttons on each sides. 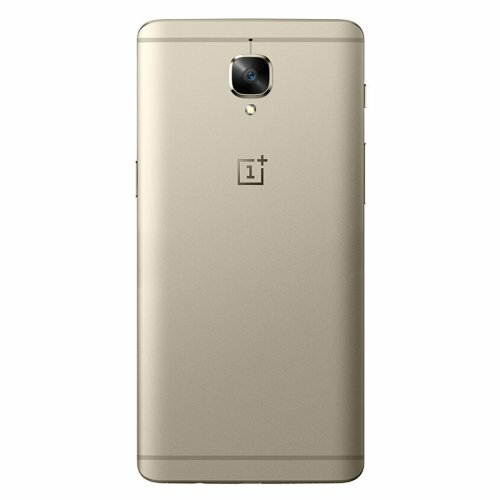 The OnePlus 3 features a complete metal body and looks much the same as its predecessor. It sports a black finish, rounded home button also acting as the fingerprint scanner, and the front camera on the upper part of the screen. The OnePlus 3 with its antenna lines look quite like the HTC One , but the Galaxy S7 has a much more simple design with just the Samsung logo and camera lens which lies straight with its glass body. The Samsung Galaxy S7 is slightly smaller and thicker than the OnePlus 3 which makes it slightly lighter too but then I am sure you would not mind a 6 grams weight difference. Also, OnePlus 3 isn't water resistant like the Samsung Galaxy S7 as that keeps the manufacturing cost low. Samsung Galaxy S7 comes in White, Gold, Black, Silver and Pink Gold while the OnePlus 3 is available in either Graphite or Soft Gold colour options. Although the OnePlus 3 looks quite amazing, Samsung wins this round with it exquisite and classy design. Samsung's screen are best in the market. Its AMOLED screens offer crisp, bright and saturated colours and the QHD screen of the Galaxy S7 is "THIS" close to perfection. OnePlus 3 also features an AMOLED screen, though not QHD, has a 1080p display with significantly low pixel count compared to Samsung's S7, 441ppi in OnePlus 3 compared to 577 PPI in Samsung Galaxy S7. Although a 1080 display is perfectly adequate for a phone, but given the 5.5 inch screen of the Oneplus 3, it should have had a QHD display like the S7. The S7's display is bold and sublime and feels a lot better than the full HD display of the OnePlus 3. OnePlus has made a HUGE push into VR territory by just recently revealing a VR headset, the OnePlus Loop VR. Samsung's flagship phones always have the latest and best specs packed into them and the S7 is nothing different. 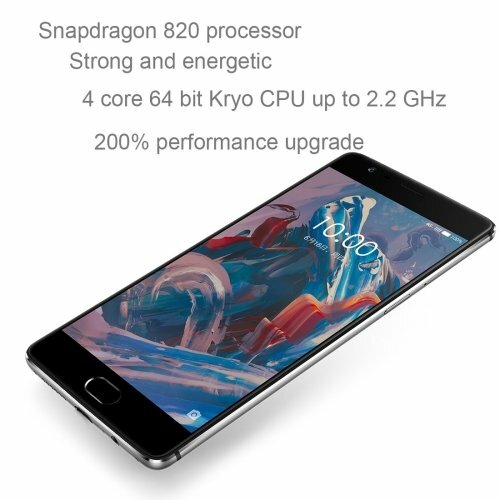 It comes with Exynos 8890 or Snapdragon 820 processor which offer almost the same speed which can handle all your multitasking and high end games. Samsung adds to it a 4GB RAM in the S7. OnePlus 3 here has managed to put in it the same processor that is in the S7 with even more RAM(6GB). It also has 64 Gb storage compared to the S7's 32 GB storage though lacking the SD card slot that can easily up the Samsung storage to 128GB. By spec comparison the OnePlus 3 has 2GB RAM advantage over the S7, but in practise both the phones offer such fast usage and response that the performance wouldn't differ. The flagships have NFC Capability and you can use Android Pay on them. 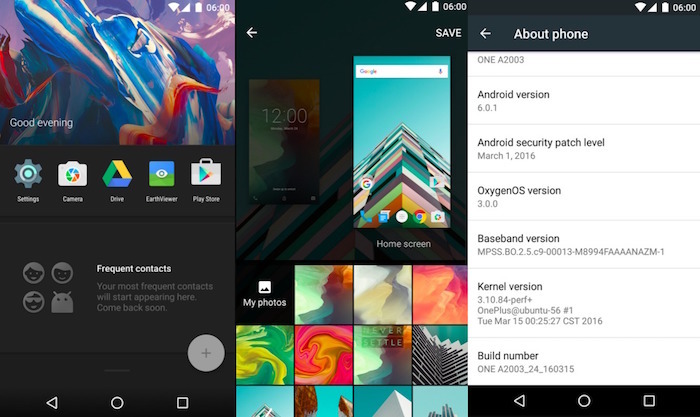 OnePlus surely corrected their mistake with OnePlus 2. They also have a 3.5 mm headphone jack. Though it has a fingerprint scanner that can hold its own agains the S7's it lacks water resistance, heart rate monitor and a SD Card but then that is for you to decide whether you require them. OnePlus 3 maintains the Usb type-C connection like OnePlus 2 but now has Dash Charge, a tech which allows it to charge within 30 minutes. However Samsung has not used this tech and has kept on using micro USB port. You shalln't have any problem with that, however the USB type-C connection is a much better tech. OnePlus 3 uses the Adreno 530 while S7 uses the ARM- Mali T880 MP-12 gpu which is a little bit slower than the Adreno 530. 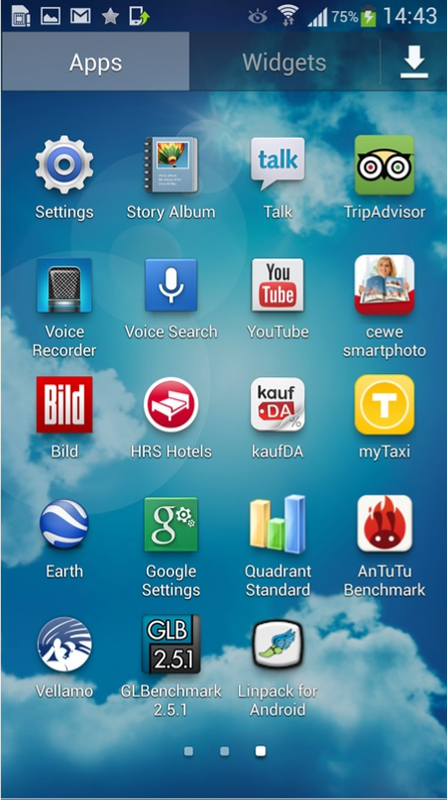 TouchWiz software unlike its predecessors have a lot less pre-installed apps in them. Most notable features of the S7's TouchWiz software are the download booster and power saving mode. OnePlus 3 also boasts a dark mode which will lessen the screen light, when the room light is low to avoid straining your eyes. Though some prefer the Oxygen software due to it being very close to actual Android skin, the S7 is more likely to get faster software updates. The Samsung Galaxy S7 comes with one of the best cameras in the phone industry and it may even be one of the best. However the OnePlus 3's camera though not bad, doesn't put up much of a challenge against the S7. The OnePlus 3 comes with a 8MP front camera and a 16MP rear camera with f/2.0 aperture, OIS, phase detection, and a much better autofocus. One the other side lies the S7, which has reduced its megapixel count from 16 to 12 but this wasn't a disadvantage for them. Samsung Galaxy S7's camera now features much larger pixels called dual pixels which fastens the camera's autofocus and allows more light to enter the camera enabling high quality low light pictures. Also, for better low light performance, the aperture has been widened to f/1.7. The camera also has a pro mode which includes quite helpful options. Smartphones rarely fared well when we are talking about audio. Both have audio mono speaker at their bottom, which isn't ideal for audio playing. The OnePlus 3 can play audio much louder than the S7. At high volume, the OnePlus 3's sound quality may suffer slightly. All in all, the S7 has better sound quality than the OnePlus 3. OnePlus 3 and the S7 comes with 3000 mAh battery and their Snappdragon 820 processor uses very little battery. In this aspect they are evenly matched. OnePlus 3 has a bigger screen but since the S7 has greater resolution, their screen saps almost same battery power. Both have non-removable battery. OnePlus 3 uses dash charging which holds its own against Samsung's fast charging. 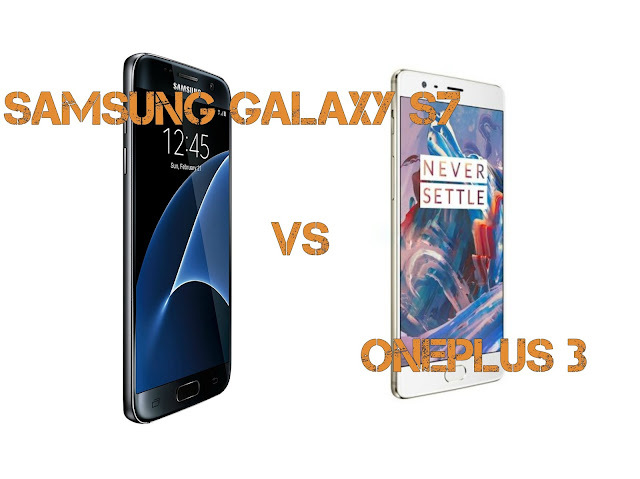 Samsung's S7 gets beaten by the OnePlus 3 in performance. However both the phones are so fast in real life that it is difficult to notice any difference in their performance. The S7 offers a much better display and camera and looks much better the OnePlus 3 and thus remains unbeaten by the OnePlus 3. However do keep in mind that the OnePlus 3 gives such a great challenge to the S7 at almost half the price. In terms of phone capacity, the S7 beats the OnePlus 3 but OnePlus 3 owns it in terms of value-for money. Your best buy would be the OnePlus 3. Dont mind spending some extra bucks? 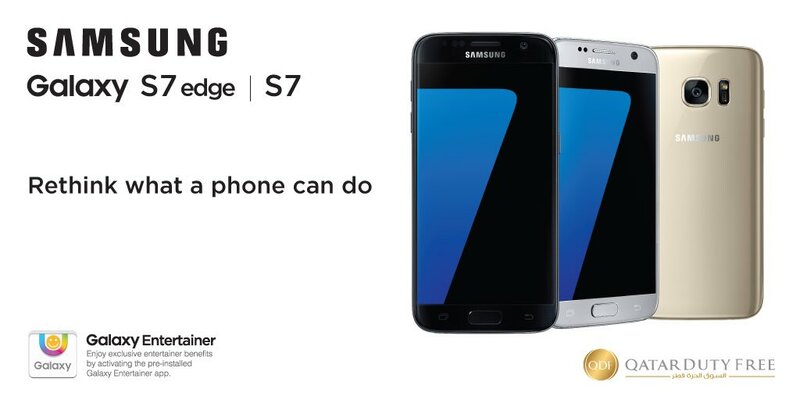 Go for the Samsung Galaxy S7.